Now available online – there are several new designs this season to complement the mainstays and the reversible Brookline quilted jacket (with polka dots), the snowflake shawl knit jacket, and down body vest will be ones to look out for. Update: Nepenthes.co.jp now has a higher-res version. A few items can be previewed over on the Nepenthes Osaka store blog as well as on flickr in sets from Très Bien Shop and End Clothing. 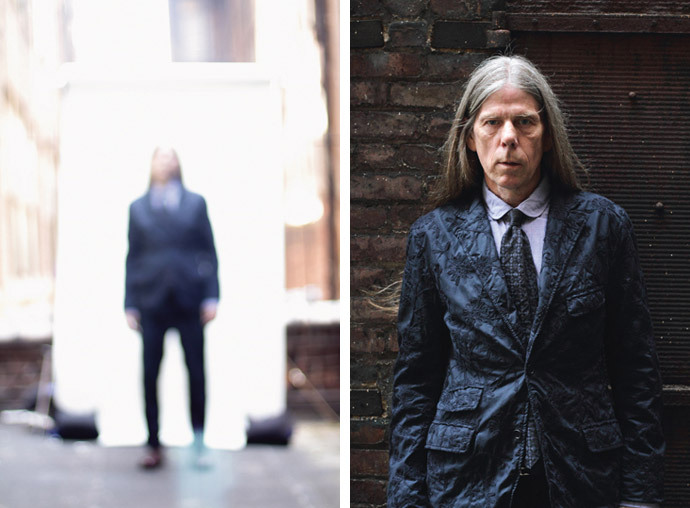 And now Très Bien has begun to upload pictures of their trip to Pitti Uomo 80. Along with Bruce Pask’s reports, these are always a great way to get a peak at what’s next for upcoming seasons – my favorite so far is this (reversible?) camo sportcoat from Engineered Garments. Update: looks like some pictures have been removed. The guys from FrenchTrotters recently published a great video of their trip to Pitti – it’s worth a watch if you’ve been following coverage and is probably the best piece of visual media I’ve seen from this season’s show. Made to celebrate the opening of the new Post O’alls store in Tokyo. More info and pictures. 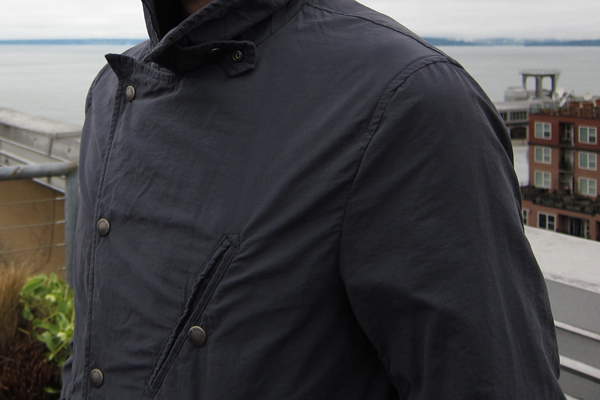 While Seattle skipped spring this year, summer is showing up and I’ve been able to start wearing more of my lightweight jackets from Engineered Garments made from NYCO poplin (abbreviation for nylon and cotton). 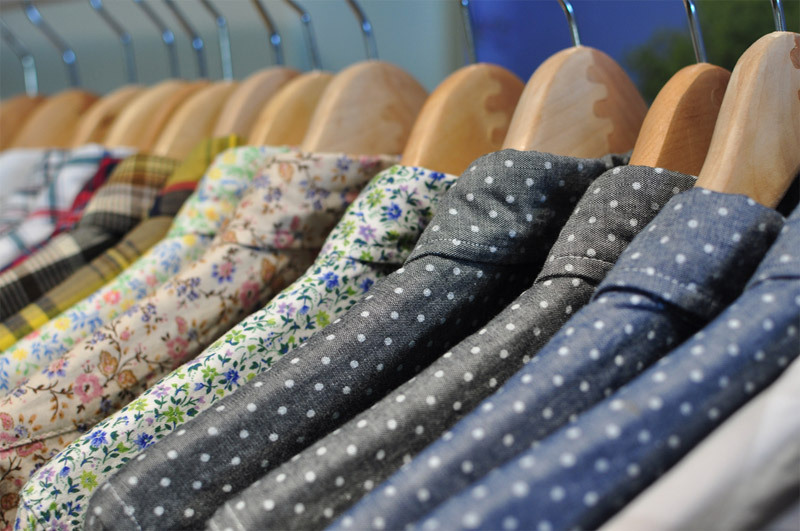 For hot weather, it is a great fabric that breathes easily, is quick to dry when wet, and is very durable against general wear and tear – so much that even certain NYCO fabrics are used in military uniforms. Back to Engineered Garments, they made several pieces with it this season – the CPO shirts, Explorer Jackets, and Type 1 pants. 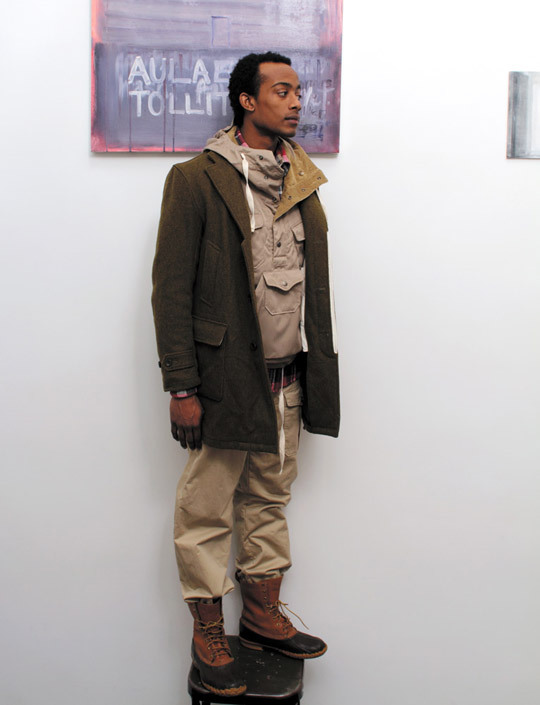 Past season items include the mountain parka and pathfinder jackets. 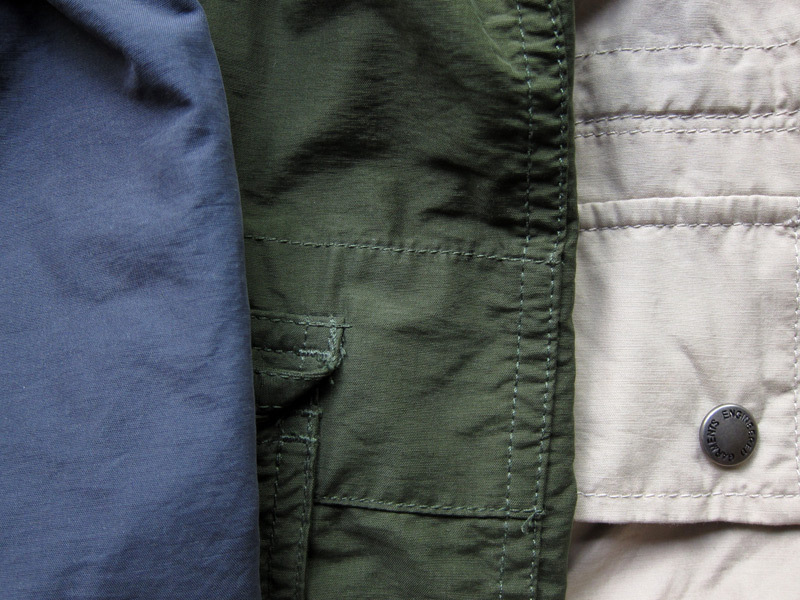 If you’re looking for summer outerwear, consider giving one a shot. 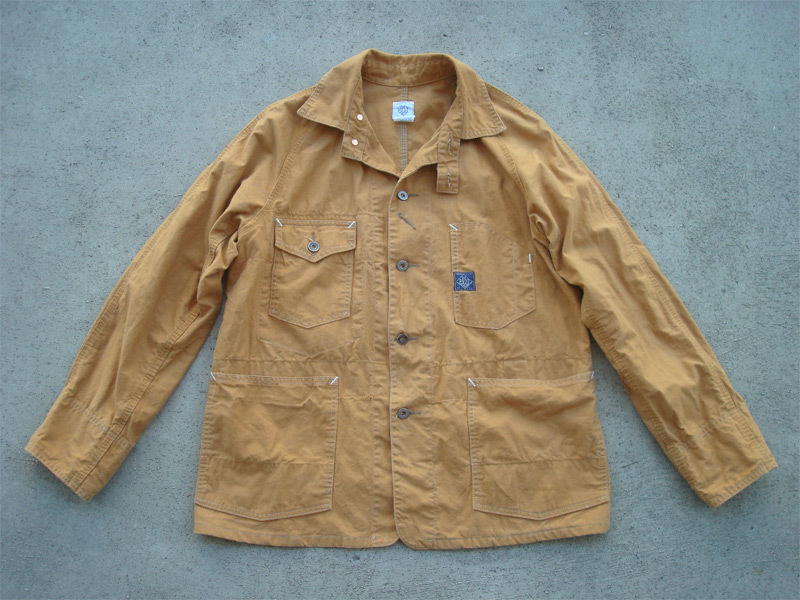 New for Spring/Summer 11, the Engineered Garments explorer jacket is back for a second season in a lightweight but durable poplin (long time fans might remember the same fabric being used for jackets in the Spring/Summer 08 collection). The fit is similar to last season’s, and I’m already looking forward to the warmer weather that it will be ideal for. More pictures available on Silver & Gold, Doo-Bop, Context, and the Nepenthes NYC blog. 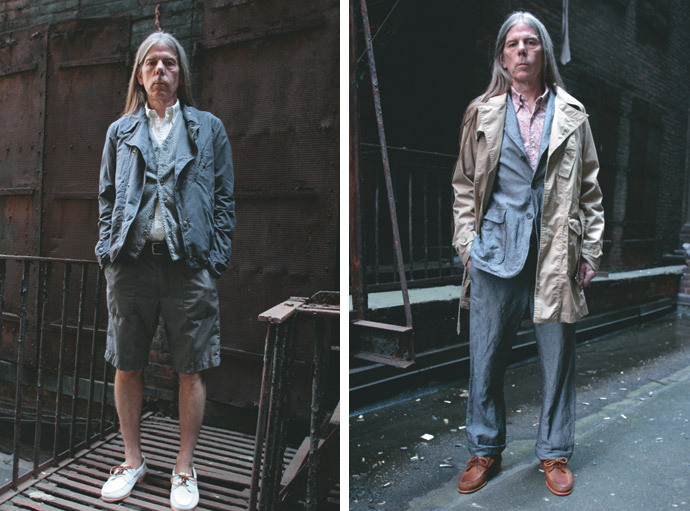 The folks at Nepenthes have just uploaded the lookbook for the Engineered Garments Spring/Summer 2011 collection, go check it out. 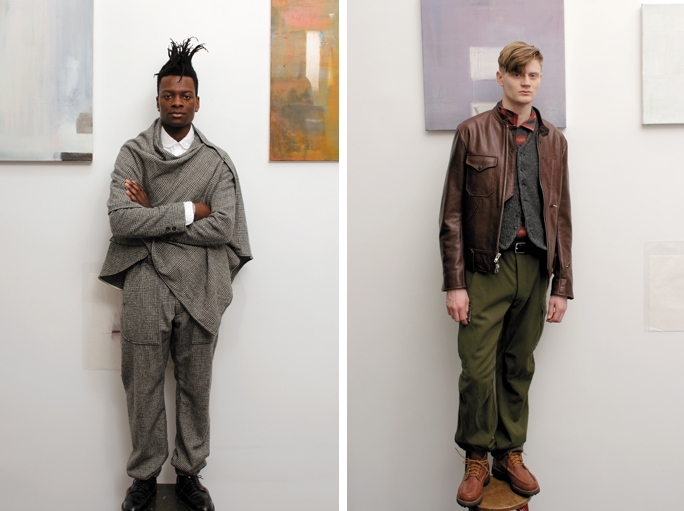 In some ways it feels like a developed continuation of the SS09 collection with a focus on subtle palettes. 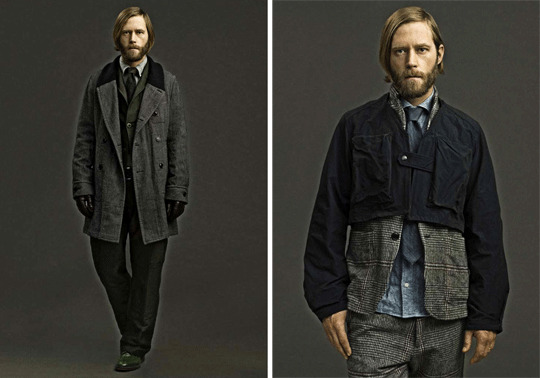 Highlights for me include the explorer jacket in poplin, the trench in cotton twill, and the floral print ghurka shorts. I’m also looking forward to seeing more of the shirts over the next few weeks after shipments make their way out to stores.